Does the idea of working with a professional circus intrigue you? 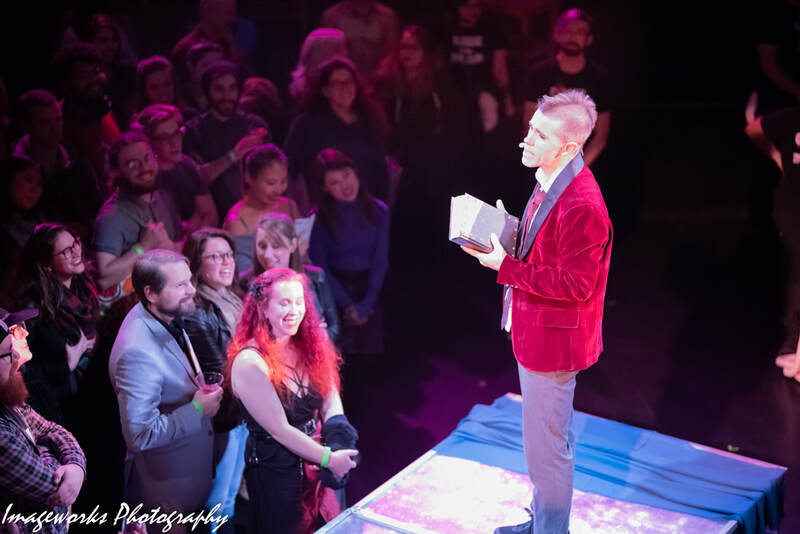 Job Title: Director, "Boston Circus Guild Presents: Cirque of the Dead"
The Director works with the cast and crew to provide feedback and direction on individual circus acts for our popular annual horror-themed show. We have a proud tradition of professional circus performance that emphasizes the relationship between performer, story, and audience. Potential directing candidates are encouraged to consider the advantages and limitations of working with variety-style circus acts, and should have experience in theater direction. Circus direction is not required, but is a bonus, as is experience with immersive and/or site-specific theater. The candidate must have a history of working on productions with collaborative artistic vision and be willing to work with performers on collaborative creative development. Attending production meetings and rehearsals which include, but are not limited to individual rehearsals for every act in the show. We anticipate this position starting May 1 and ramping up in time commitment as the show date approaches. We estimate the position will be roughly 125 hours total for the course of the run. The Boston Circus Guild is a collaborative membership organization of more than seventy-five musicians, artists, circus performers, dancers, and event producers based in the New England area. Boston Circus Guild is proud to have been an Artist-In-Residence at Harvard University’s American Repertory Theater. Boston Circus Guild regularly performs at prestigious events and venues throughout New England including OBERON, the Museum of Fine Arts Boston, Peabody Essex Museum, Museum of Science, Artists for Humanity EpiCenter, Honk! Festival, and the inaugural Outside-the-Box Festival. We have performed at events for Pfizer, Cirque du Soleil, Johnson & Johnson, and The Boston Bruins Foundation. Send your cover letter and resume to Ellen Waylonis at ellen@bostoncircusguild.com. Priority will be given to applications received by April 22nd, 2019.